In Excel, right-click and select Lists (or select Lists from the Narrative1 main menu). New (9-7-10): To automatically populate the list tool with a specific list, place the cursor in the cell with the list, then right-click and select lists. 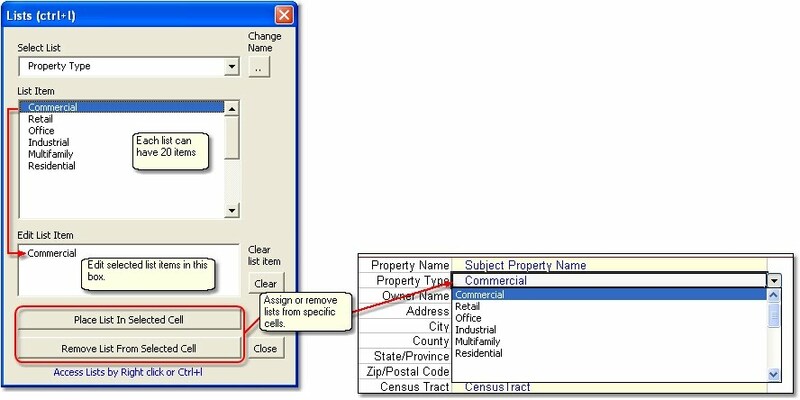 Note: With the 2010 release, lists are now stored in the database, not with the Excel file. 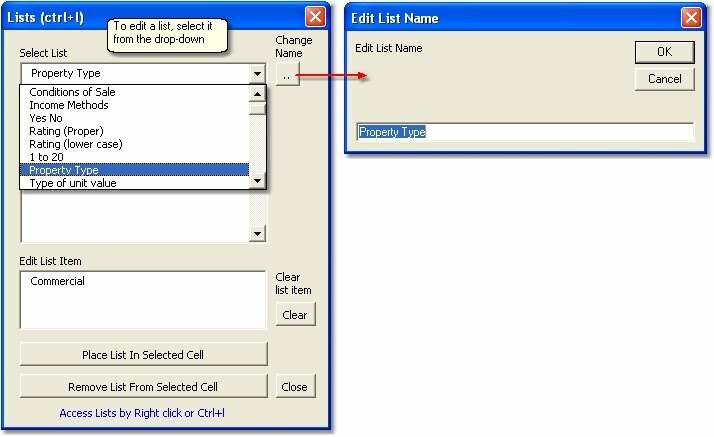 Thus, if a list is edited in one Excel file, other files that use the same list will automatically update.